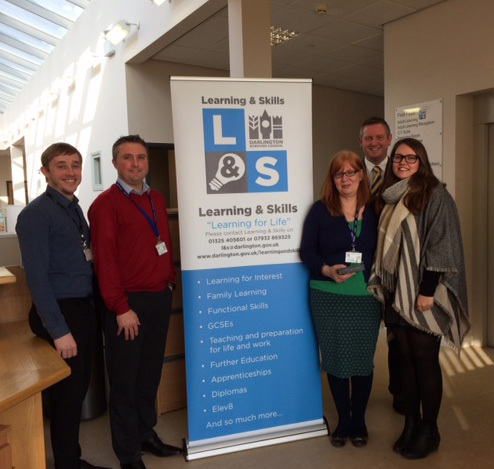 Pictured left to right: Josh Parker, Ian Saunders, Clare Friskney and Alicia Santese from Darlington Borough Council with Darren Howells from NOCN. Clare and her colleagues at Darlington Borough Council was presented with her Kindle by Darren Howells, Head of Account Management at NOCN. Clare said on being presented with her prize "This is just what I needed for my summer holiday in Cyprus. I love working with all the staff at One Awards they are always helpful and friendly".